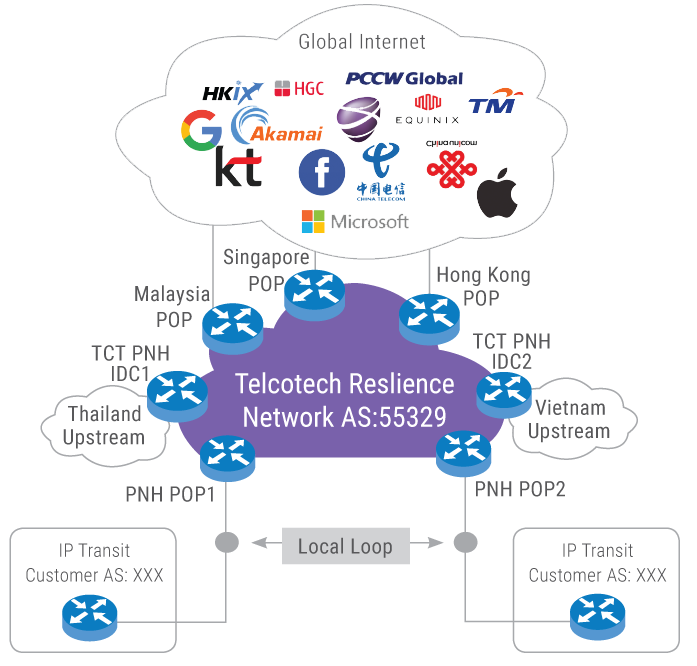 Telcotech IP Transit service offers high quality, scalable and affordable bandwidth. Combine our wide choice of service locations with our outstanding connectivity to major access and content network providers throughout the world. Our IP transit service suitable for large corporate enterprises, internet service providers (ISP), and Mobile Operators who own the AS Number.